It was an honor and joy to capture Alyssa and Morgan’s wedding day at The Grand Barn at The Mohicans. 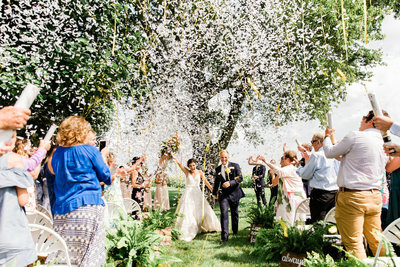 This Colorado couple ventured back to the midwest to have their wedding with their Pittsburgh family. 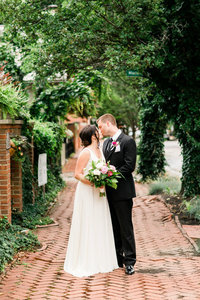 They love the Mohican’s and knew that it was the perfect venue for their big day. Alyssa and Morgan conquered quite a few years of long-distance dating. While in law school, Morgan ventured out to Colorado for an internship and told Alyssa that he knew they would one day move out their together. Soon enough, Alyssa made a big decision to accept a teaching position in Colorado while Morgan would complete his last two years of law school in PA. Upon graduation, Morgan and Alyssa would begin their Colorado adventure together! It was so wonderful to see both sides of their family gather together here in Ohio. I adored their “Join us in the woods” theme and their elegant details within the rustic space. A few weeks before the wedding, Alyssa reached out to see if we could take a few photos in a canoe on the pond. My response was a heck yes! If only you could have seen a behind the scenes — we had a canoe but no paddle! These two really trusted us, they were their confident outdoorsy selves and we ended up with some great images! I’ll definitely never forget these two jumping in to carry the canoe as we moved with our gear! They are one awesome team. I’m so excited for you, Alyssa and Morgan! I can’t wait to see what’s in store for you next on your journey as husband and wife!! We’re so honored to have captured your wedding day! I’m so excited for you to see all the photos, but for now, here are just a few of my many favorites! View more of my recent work on the blog.